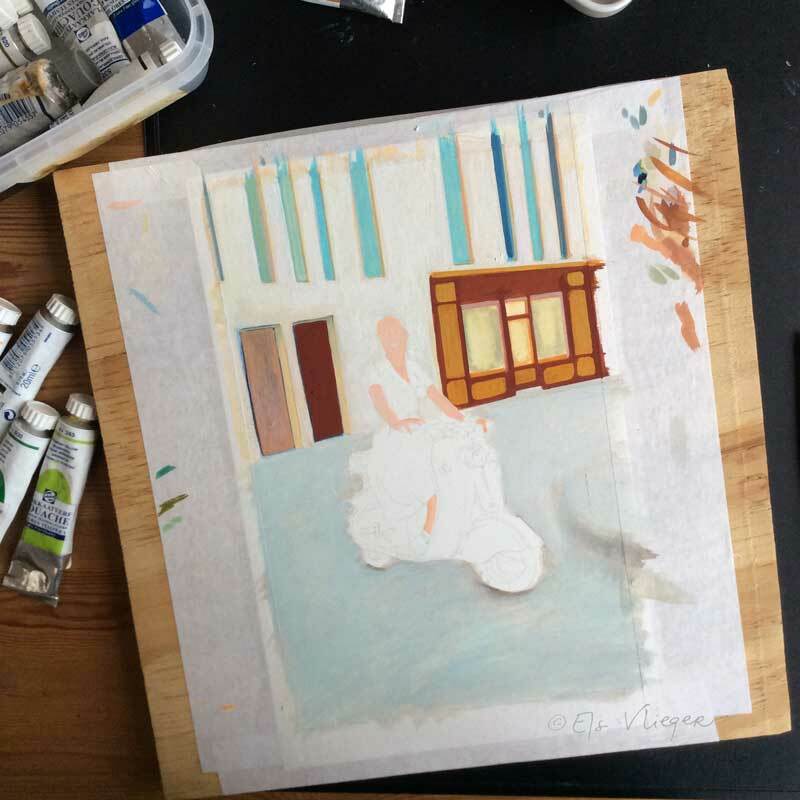 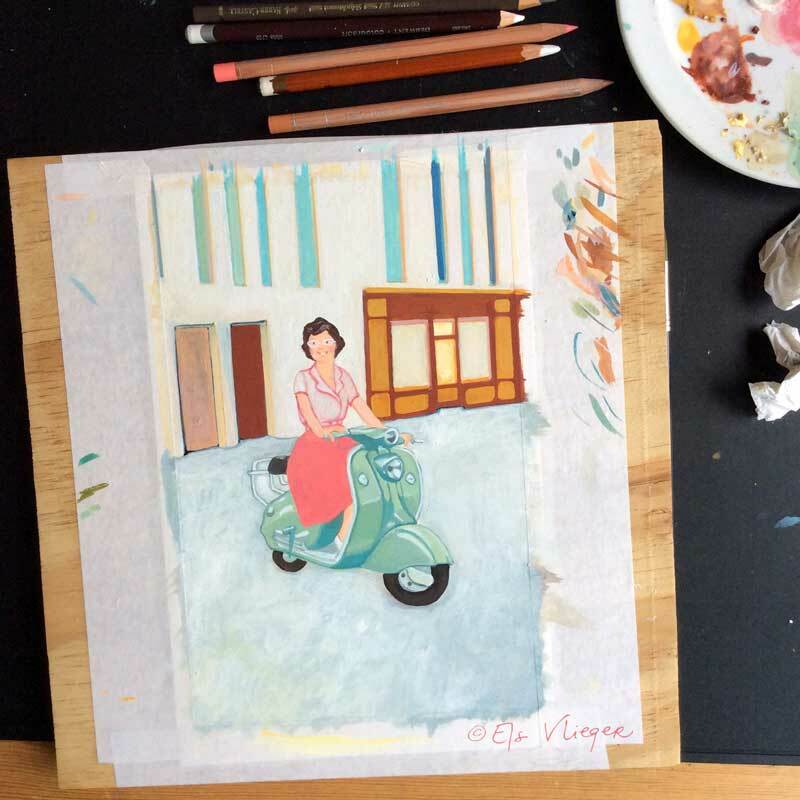 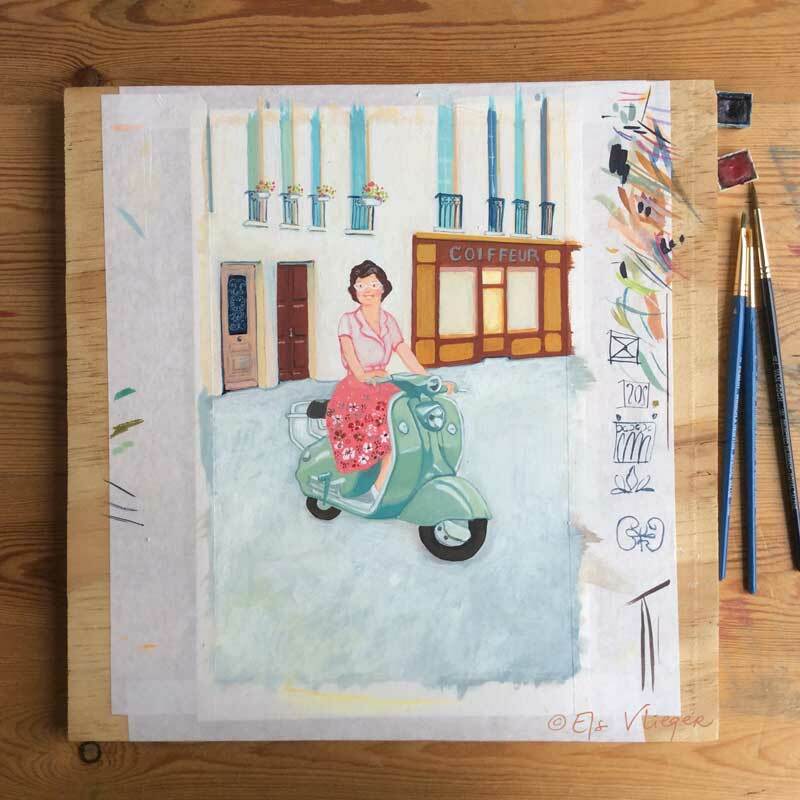 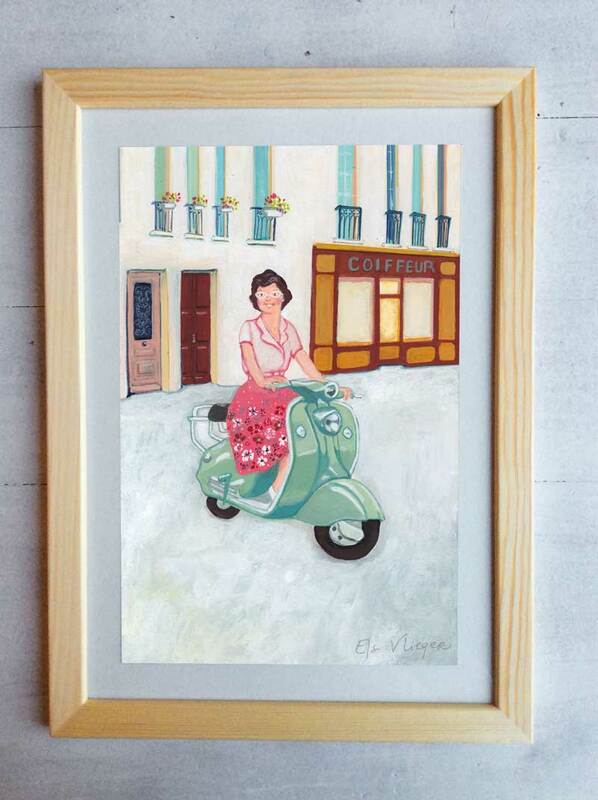 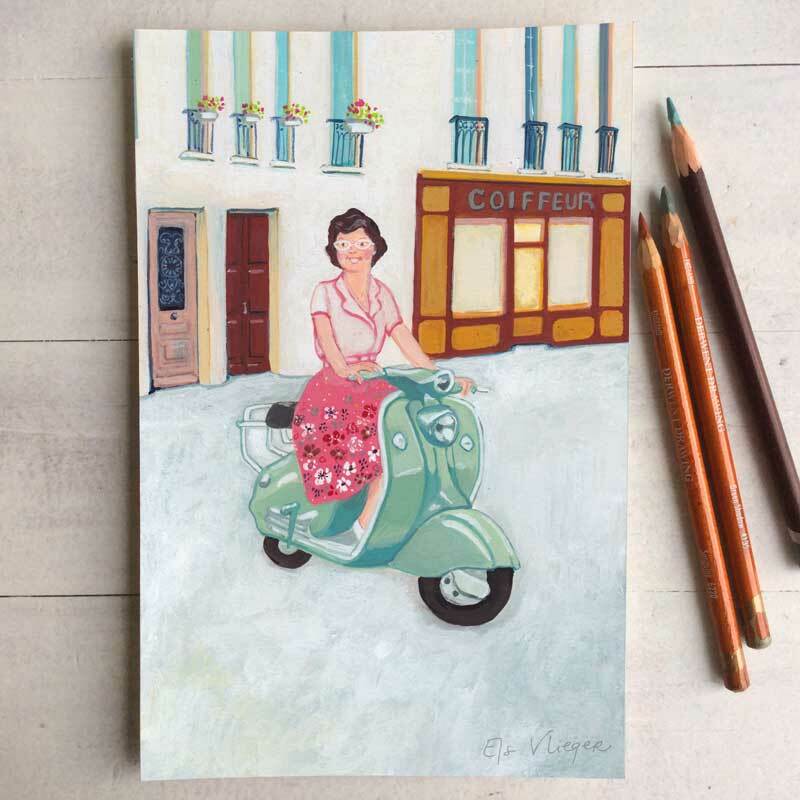 Gouache painting of a lady on het Lambretta scooter. 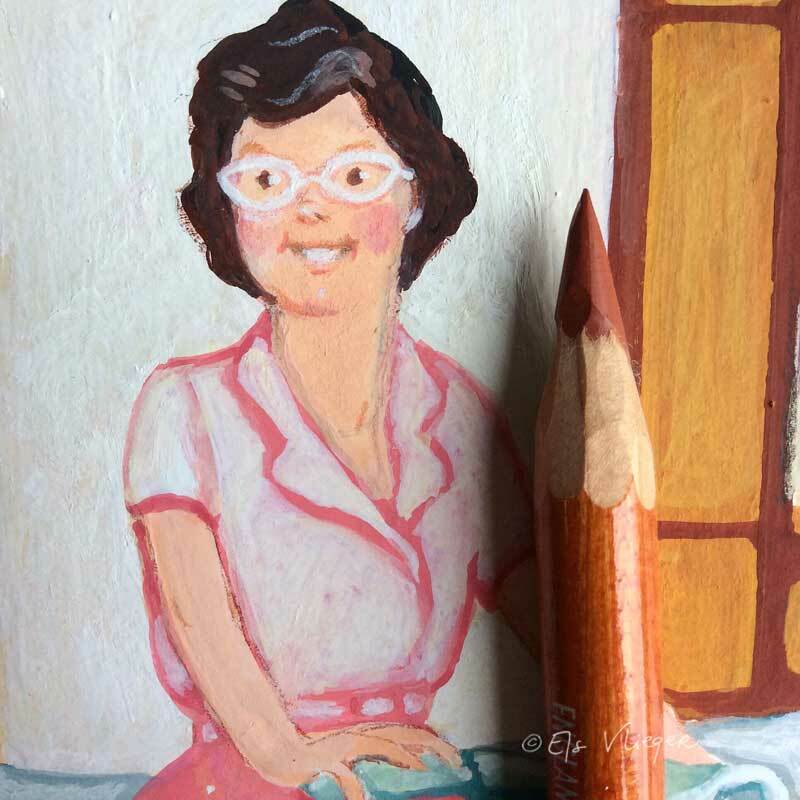 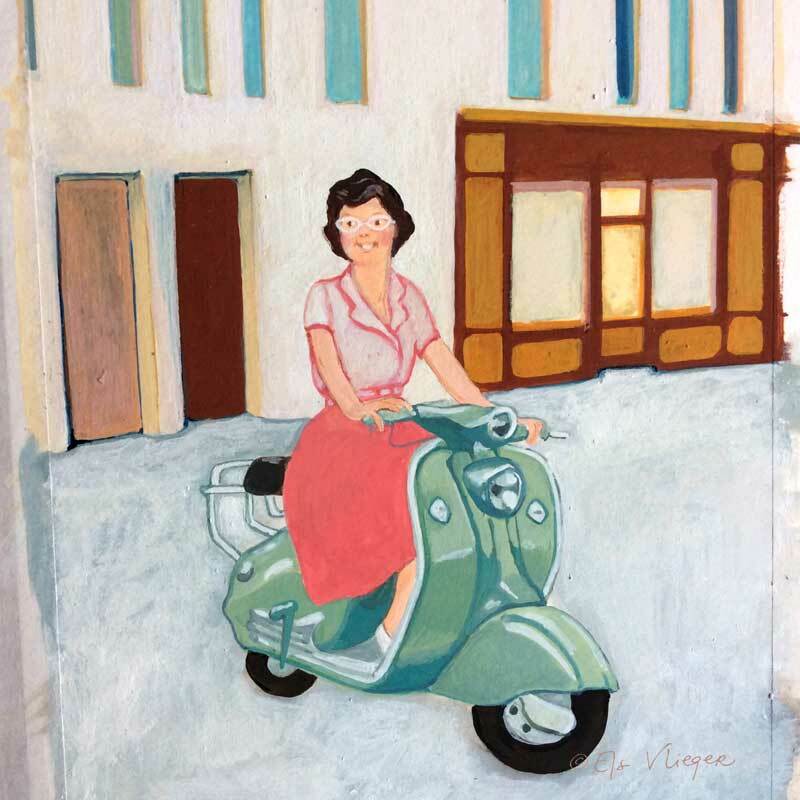 The painting was made after a 1950s photo of my mother-in-law on her scooter. 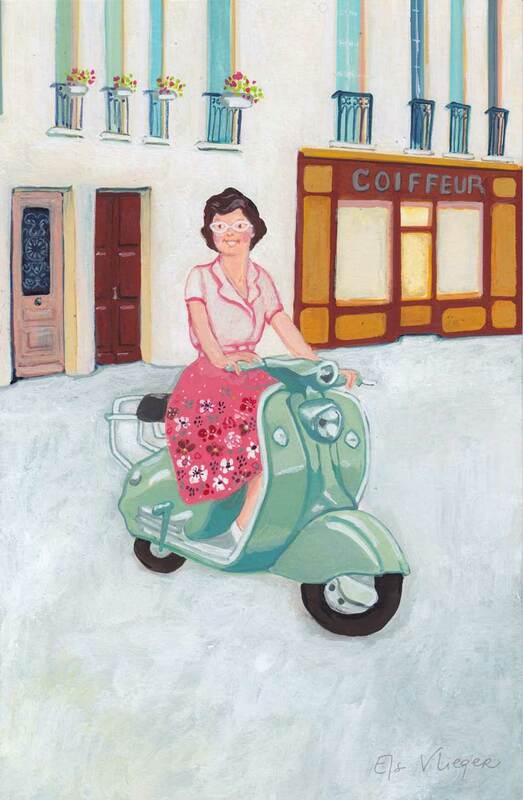 She was a hairdresser back then and loved Paris.